The Standard Deviation (Sigma) for N = 11, was calculated from the data supplied. 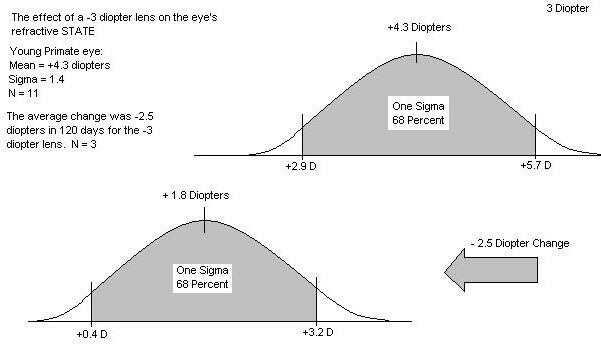 The Sigma for the 3 diopter group is estimated. The mean will change in this manner for all fundamental eyes from an applied +/- 3 diopter lens. 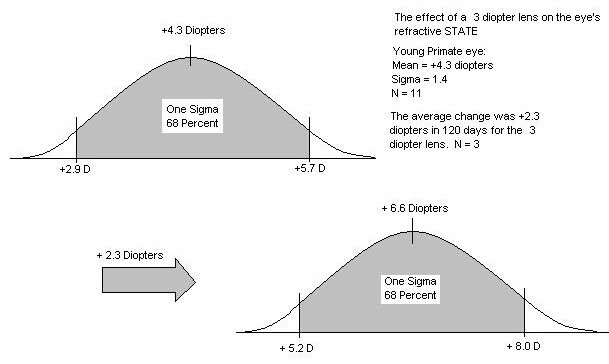 The data is taken from, "Spectacle Lenses Alter Eye Growth and the Refractive Status of Young Monkeys" by Earl L. Smith.